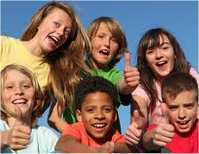 How to find the best overnight summer camp for your child? Plan ahead! Camping is a fantastic way to spend the summer. Kids have a lot of fun, and get to spend time away from their parents. Parents, in turn, see the positive influence that camps usually have on their children in terms of both emotional and physical development, together with an increase in self-esteem and marked improvement in social skills. How to choose a summer camp? First think about your child's age, interests (sports nut or computer nerd?) and overall fitness when it comes to choosing the right summer camp. If you happen to be raising a brainiac, an educational camp may be the best option. improve social skills and self-esteem. Finding the perfect match takes time and research  to strike the right balance between budget concerns and quality of the summer camp you'll be sending your child to for 1-4 weeks at a time. During their stay, children should be safe, happy, and have the opportunity to learn new skills. While shopping around for the best summer camp for your child, note that ACA guidelines for summer camps call for a 1:6 counselor ratio for children ages 7-8, 1:8 for ages 9-14; and 1:10 for ages 15-18. Typically, summer camp counselors should be 16 (for younger kids) and 18 or older to supervise teens. They also should have at least basic training in first-aid, and screened for background record checks before they are hired on as camp counselors. Also inquire about bus inspections (and safety records of bus drivers) if there are day trips planned while your child attends summer camp. Finally, don't be afraid to ask for references. Ideally, face-to-face meetings with parents AND their kids will give you a clearer picture of the camps safety record and how well other children have enjoyed their stay there. Around the Web, find traditional, sports, and specialty camps and travel adventures for both kids and adults in our guide to summer camps and campsites worldwide. KidsCamps.com - A great resource, and the oldest online - serving the needs of kids, parents, camp directors and staff with thoughtful advice and a searchable directory of camps and travel adventures for kids worldwide. American Camping Association - This site gets extra points for outstanding design, and information on 2,000 + ACA accredited kids' camps nationwide. Consortium on Children's Asthma Camps - Summer camp can be a nightmare for kids with severe allergies and asthma. This group provides access to camps in the United States that combine managing asthma with summer fun. Good resources and information supplement the camping directory. Canadian Summer Camps - A major directory searchable via a dropdown menu, a clickable national map, or by categories including boys', girls', co-ed, wilderness adventures, as well as a link to summer jobs. GrownUpCamps - Why, indeed, "should kids have all the fun?" with links to adult sports camps, wilderness and adventure, art programs, spas, special interest, family camps and more.